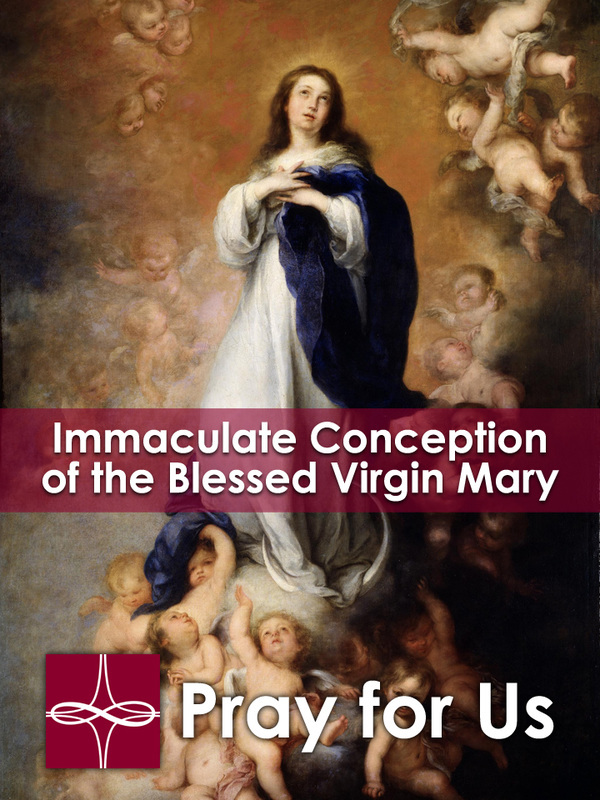 The Immaculate Conception is the dogmatic teaching that Mary, from her conception, was without sin. The concept of the Immaculate Conception is derived from Scripture passages in Genesis and Luke. Early Church Fathers such as St. John Chrysostom, started to develop teaching on the Immaculate Conception. Scottish Franciscan John Duns Scotus defended and formalized this teaching. Various Popes, including Sixtus IV, Pius V, and Clement XI, supported the teaching on Mary. In 1846, the Sixth Provincial Council of Baltimore declared Mary. Immaculate to be the Patroness of the United States. In Ineffabilis Deus, Pope Pius IX declared that the teaching of the Immaculate Conception to be the teaching of the Universal Church. Mary Immaculate is also the Patroness of countries such as Argentina, Brazil, Korea, Philippines, and Uruguay. Mary's purity and piety are noted in the Qur'an and in Islamic teaching. The Basilica of the National Shrine of the Immaculate Conception is dedicated to Mary and is the largest Catholic Church in North America. His mother passed away in 1929. In 1938, he entered Jagellonian University in Krakow. His father passed away in 1941. On November 1st, 1946, he was ordained a priest. On September 28th, 1958, he was ordained an auxiliary bishop of Krakow. On December 30th, 1963, he was named Archbishop of Krakow. Pope Paul VI raised him to become a Cardinal in June of 1967. 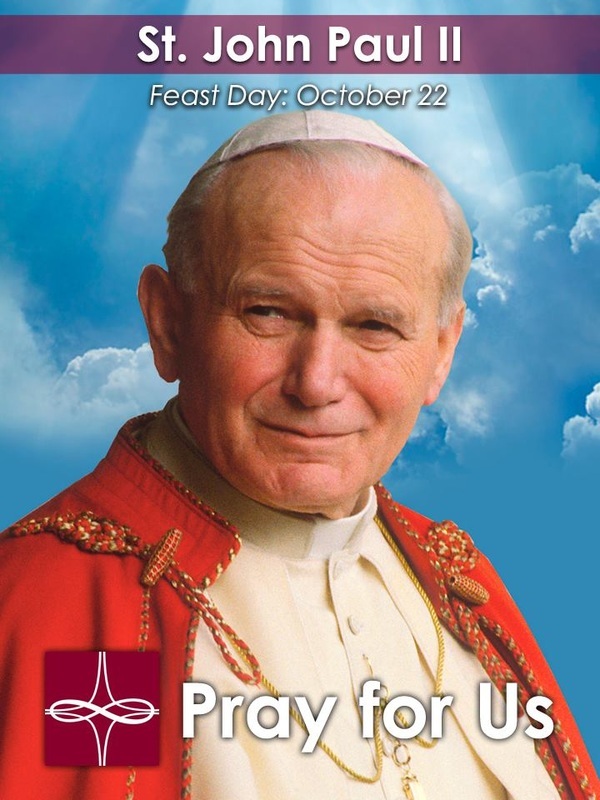 On October 16th, Karol Wojtyla was elected the 264th Bishop of Rome. John Paul II became the second pope to address the United Nations in 1979. John Paul II died on April 2nd, 2005 in Rome. Pope Emeritus Benedict XVI beatified him in 2011. Along with St. John XXIII, St. John Paul II was canonized by Pope Francis in April 2014. Thérèse was born at Alençon, France on January 2nd, 1873 to Louis and Zelie Martin, now proclaimed saints by Pope Francis. She desired to enter Carmelite religious life with her sisters, Pauline and Marie, but was prevented because of her age. During an audience granted by Pope Leo XIII on November 20th, 1887, she asked the Holy Father to be able to enter at the age of fifteen. On April 9th, 1888, she entered the Carmel of Lisieux. She received the habit on January 10th of the following year, and made her religious profession on September 8th, 1890 on the Feast of the Birth of the Blessed Virgin Mary. Thérèse's spirituality is of doing the ordinary with extraordinary love. She was canonized by Pope Pius XI on May, 17th 1925. He also proclaimed her Universal Patron of the Missions, alongside Saint Francis Xavier, on December 14th, 1927. 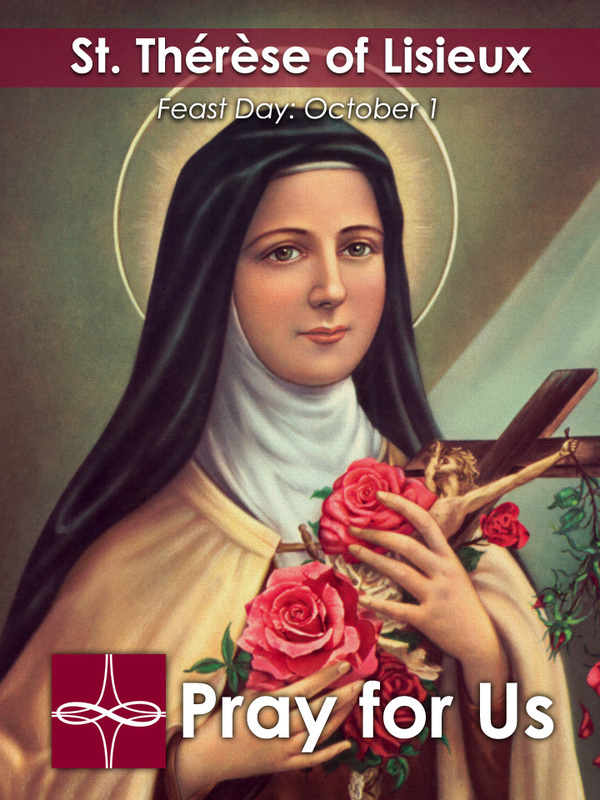 Pope John Paul II proclaimed Thérèse a Doctor of the Universal Church on World Mission Sunday, October 19th, 1997. 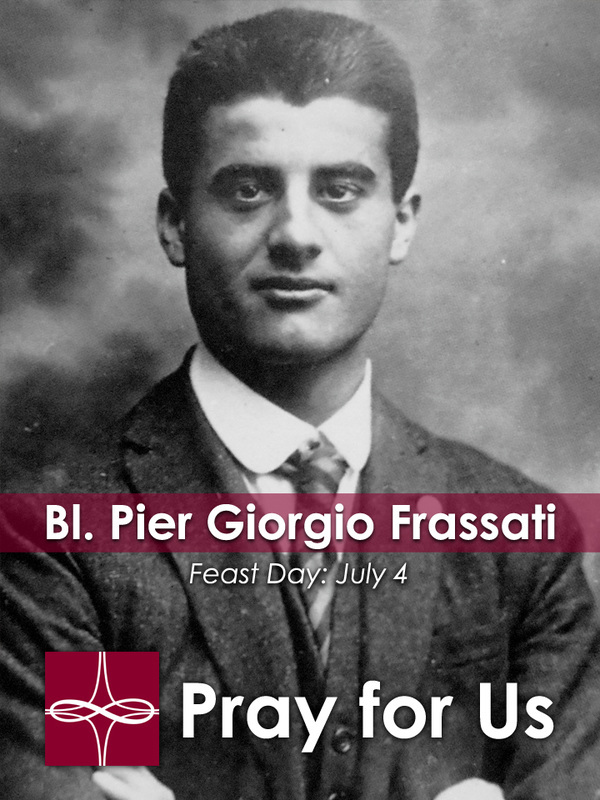 Pier Giorgio Frassati was born April 6th, 1901 (Holy Saturday) in Torino, Italy. He made his First Holy Communion in June of 1911. In 1919, he enrolled in the Italian Catholic Student Federation and Catholic Action. He and his friends founded 'Tipi Loschi' or 'the Shady Characters in 1921. In late June 1926, he contracted an extremely aggressive form of Polio. On July 4th, Pier Giorgio died. His remains were exhumed and found incorrupt in 1981. In 1989, St. John Paul II visited his tomb in the family crypt. On May 20th, the 'Man of the Eight Beatitudes' was beatified by St. John Paul II in St. Peter's Square, Rome. During a December 2012 address, Pope Emeritus Benedict XVI gave the example of Pier Giorgio as an example for the Italian National Olympic Committee. Pope Francis prayed before his tomb while visiting the Tornio Cathedral in June 2015. The remains of Pier Giorgio will be present for pilgrims at World Youth Day in Poland. Kateri Tekakwitha was born in today’s New York state in 1656 to a Mohawk father and a Christian Algonquin mother who gave to her a sense of the living God. When she was only 4 years old her parents and brother died of smallpox. Kateri survived the disease, but it left her face badly scarred and her eyesight impaired. On Christmas Day 1677, Kateri made her first holy communion and on the Feast of the Annunciation in 1679 made a vow of perpetual virginity. She was baptized at twenty years of age and, to escape persecution, she took refuge in Saint Francis Xavier Mission near Montreal. She died on April 17th, 1680, shortly before her 24th birthday, and was buried in present day Kahnawake, Quebec, Canada. 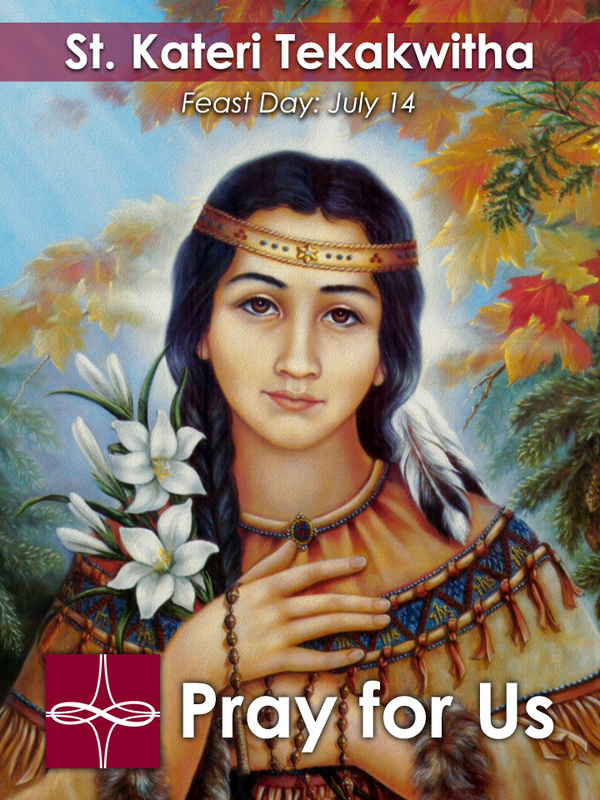 Saint Kateri was canonized on Oct 21st, 2012 and is the Protectress of Canada and the first native American saint. James the Apostle was the brother of John the Evangelist. He is called “James the Greater” to distinguish him the “James the Lesser,” the Son of Alphaeus who was also a follower of Jesus. James and John were called by Jesus as they worked with their father in a fishing boat on the Sea of Galilee. James was one of the favored three who had the privilege of witnessing the Transfiguration, the raising to life of the daughter of Jairus, and the agony in Gethsemane. 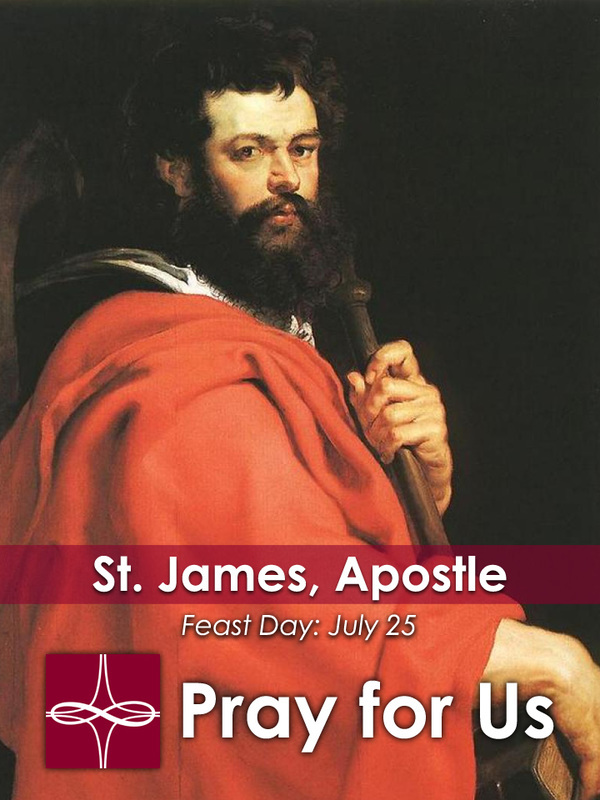 Tradition holds that James was the first of the apostles to be martyred. “About that time King Herod laid hands upon some members of the church to harm them. He had James, the brother of John, killed by the sword, and when he saw that this was pleasing to the Jews he proceeded to arrest Peter also” (Acts 12:1-3a). James is the patron saint of Chile, Laborers, Nicaragua, Rheumatism and Spain. Faustina was born on August 25th, 1905 in Głogowiec in Poland of a poor and religious family of peasants, the third of ten children. From a very tender age she stood out because of her love of prayer, work, obedience, and also her sensitivity to the poor. 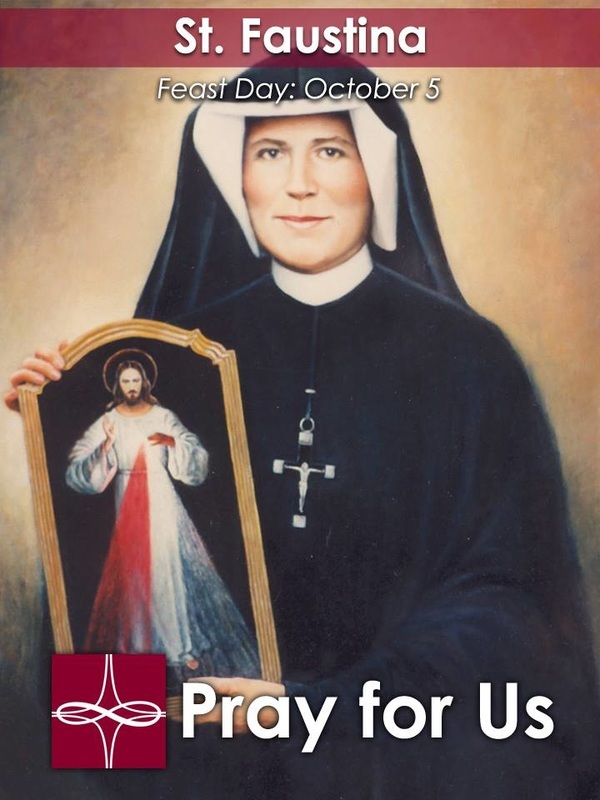 On August 1st, 1925, she entered the Congregation of the Sisters of Our Lady of Mercy and took the name Sister Mary Faustina. The years she had spent at the convent were filled with extraordinary gifts such as: revelations, visions, hidden stigmata, participation in the Passion of the Lord, bilocation, the reading of human souls, prophecy, and mystical engagement and marriage. Christ revealed to Sister Faustina new forms of devotion to the Divine Mercy, including: the veneration of the image of the Divine Mercy with the inscription: Jesus, I Trust in You, the feast of the Divine Mercy celebrated on the first Sunday after Easter, chaplet to the Divine Mercy and prayer at the Hour of Mercy (3 p.m.). Sister Faustina died of tuberculosis in Krakow at the age of thirty-three on October 5th, 1938. She was canonized on April 18th, 1993 by Pope John Paul II. “O my Jesus, each of Your saints reflects one of Your virtues; I desire to reflect Your compassionate heart, full of mercy; I want to glorify it. Let Your mercy, O Jesus, be impressed upon my heart and soul like a seal, and this will be my badge in this and the future life” (Diary 1242).